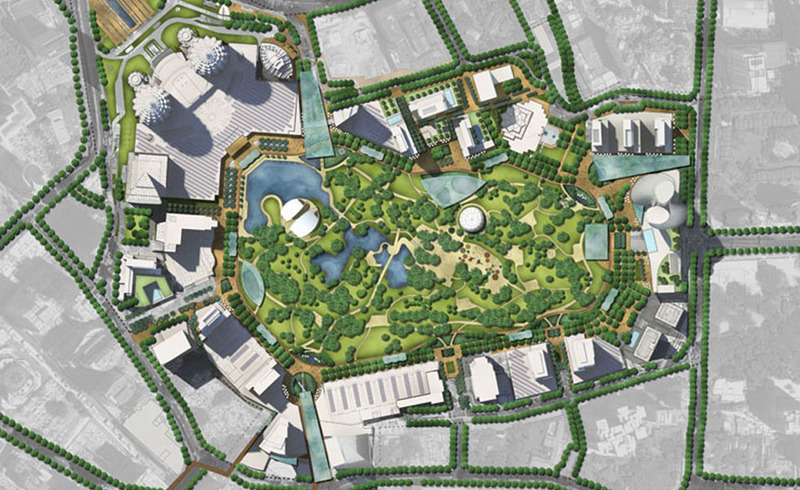 The KLCC Master Plan is an update of the original plan done in 1994. The plan puts forth a new definition of “world class”, no longer marked only by iconic tall buildings but by creating memorable public spaces and introducing cutting edge sustainability. The plan created strong connection to the surrounding area and created major new gateways to acts as new nodes in the district. The gateways connect to existing and new transit stops, are focal areas for retail and entertainment, and are marked by landmark buildings. New uses were added including special cultural facilities such as museums and a new eco-center. This was an opportunity to both showcase and educate the public about new environmental approaches. The park, originally designed by Roberto Burle Marx, was carefully transformed with a continuous boardwalk created around the edge to actively engage all existing and new buildings. Parking and Access were completely re-conceptualized to create an underground parking system. A lower level concourse level was added around the site that connected to lower level transit and parking.